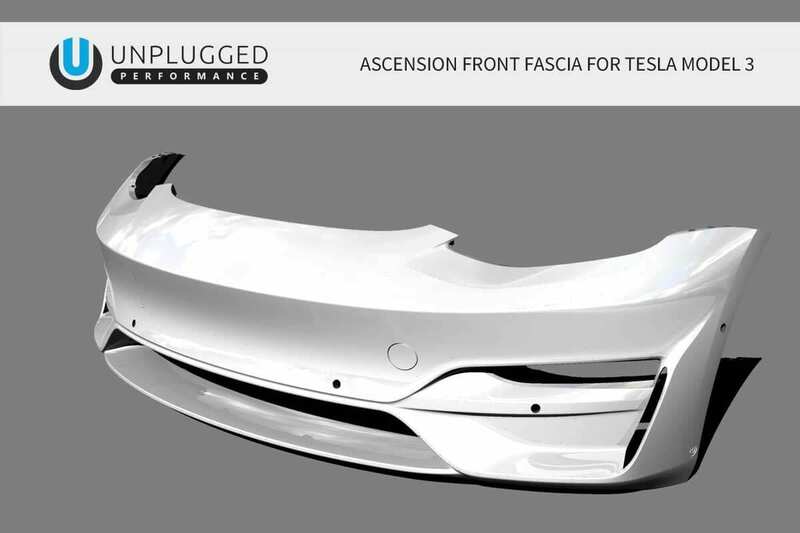 The Ascension Front Fascia System is a complete bolt-on replacement solution designed to replace the Tesla Model 3’s front fascia (front bumper cover) with our performance inspired redesign. 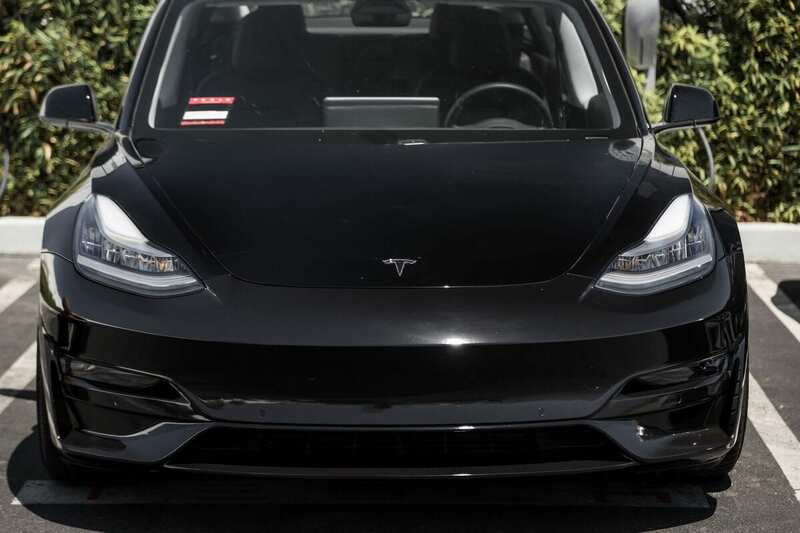 Included in the box is a front bumper cover with under panel continuity, and all related hardware to facilitate easy installation. There are no additional parts needed to purchase for a complete and seamless factory-style bolt on installation. Sometimes constraints become the catalyst for an art form. 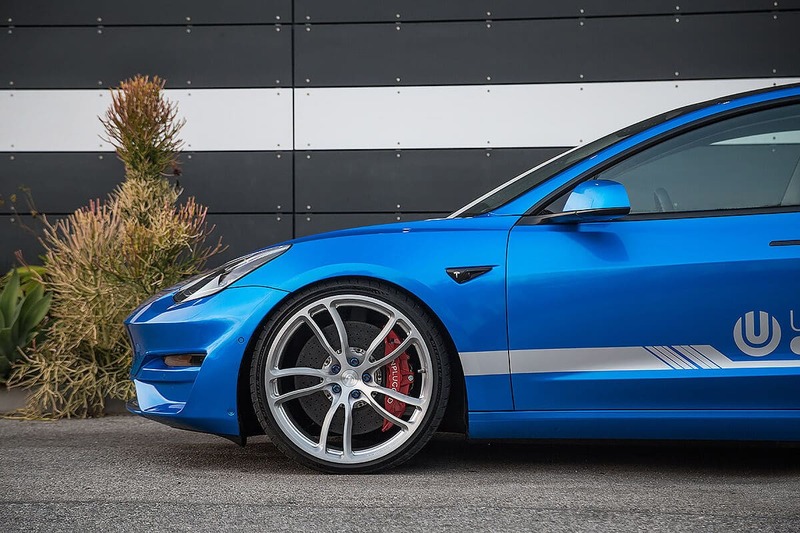 Our approach to this design entailed the creation of a new high performance car image, but to do so in harmony with the Tesla Model 3’s groundbreaking engineering. 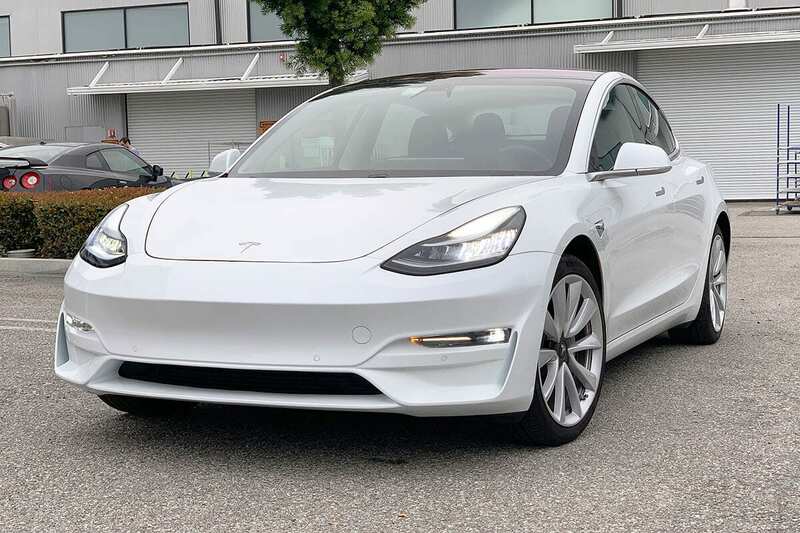 We mapped out a lengthy list of design criteria that we knew would result in a product we would want fitted to our own Model 3, and we then went to work. 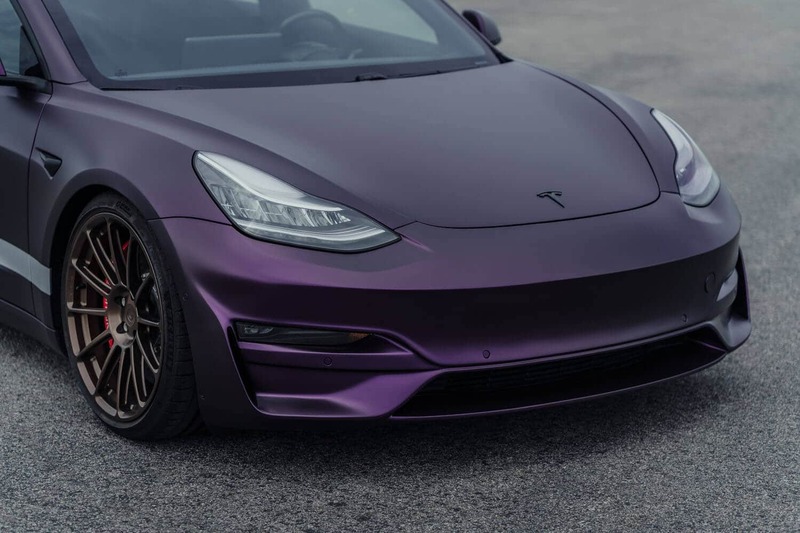 Everything we create starts step one from a perspective of honoring Tesla and the revolutionary DNA held within each car our product touches. We naturally want all of our work to amplify the ethos of the car, but to never lose sight of its soul. 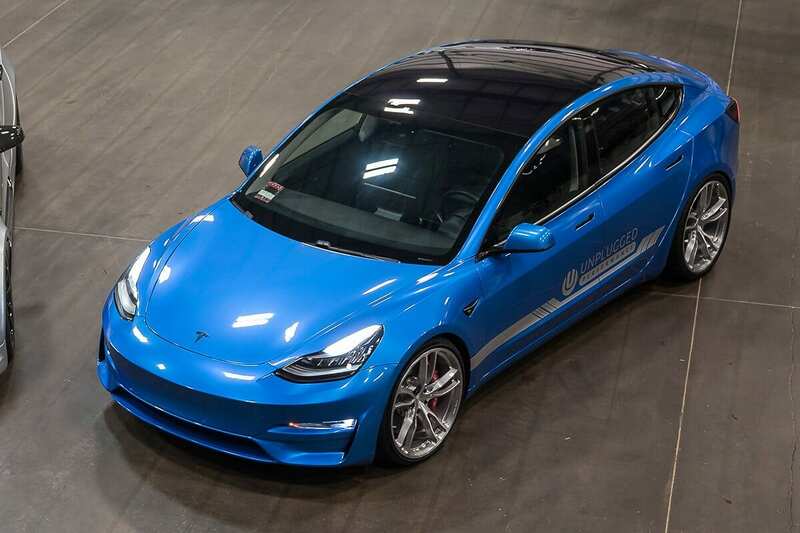 In turning the dial up with our design we always ask ourselves, is this something that would look appropriate in a Tesla showroom as a special model? If the answer is ever no, we erase the page and start over. What makes a car’s DNA is of course subjective. 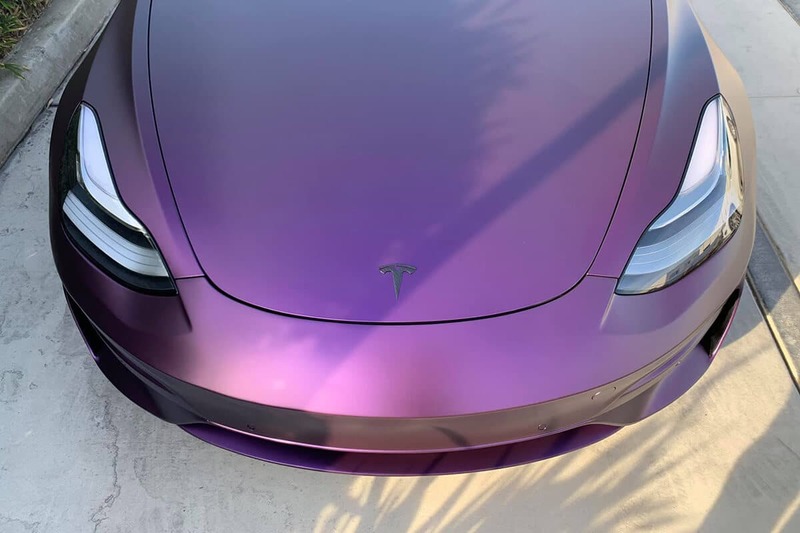 As Tesla owners and enthusiasts we follow our heart and aim to highlight what we love about the car first and foremost. 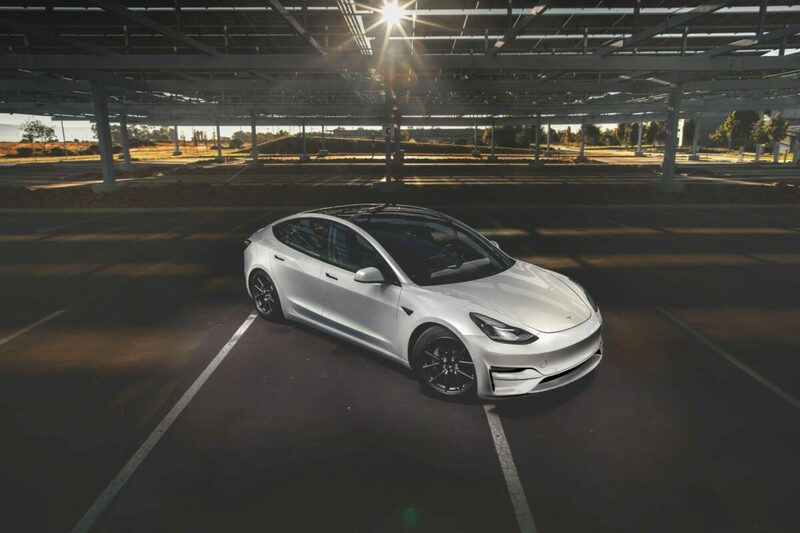 We then deeply consider the already-great work from Tesla’s design team, and try to place ourselves in their shoes in an effort to honor their intentions and gain perspective. Ultimately, we look for thoughts, feelings and specific ideas that mesh those two worlds. 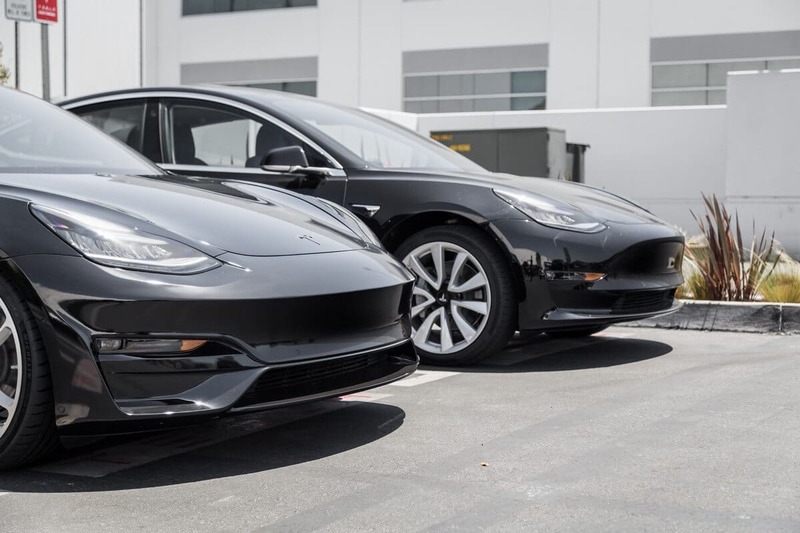 The intended result of this process is something that emulates what we feel the true potential of the Model 3 platform can become. 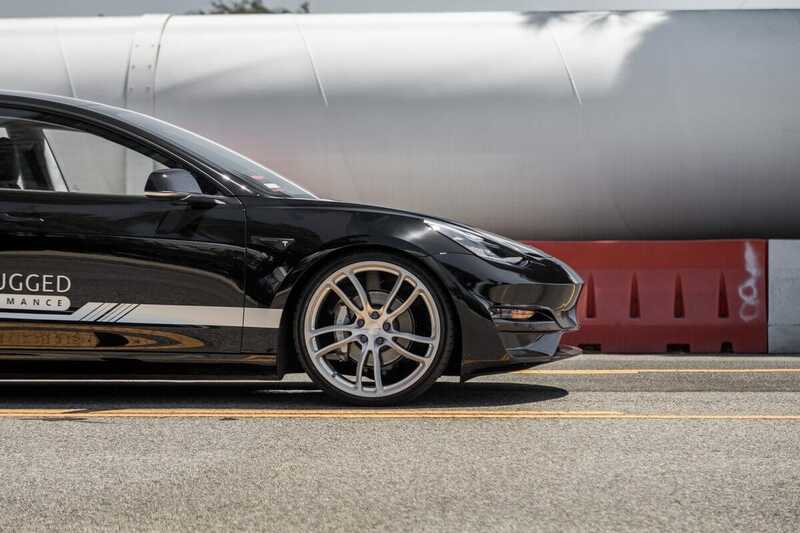 This process is not largely different from the first time we re-designed a Model S in 2013, making it look like the supercar we knew it could become: the platform which earned the title for the fastest 0-60mph production car in the world. We aim to create designs that represent not only what the car is, but what it will become. 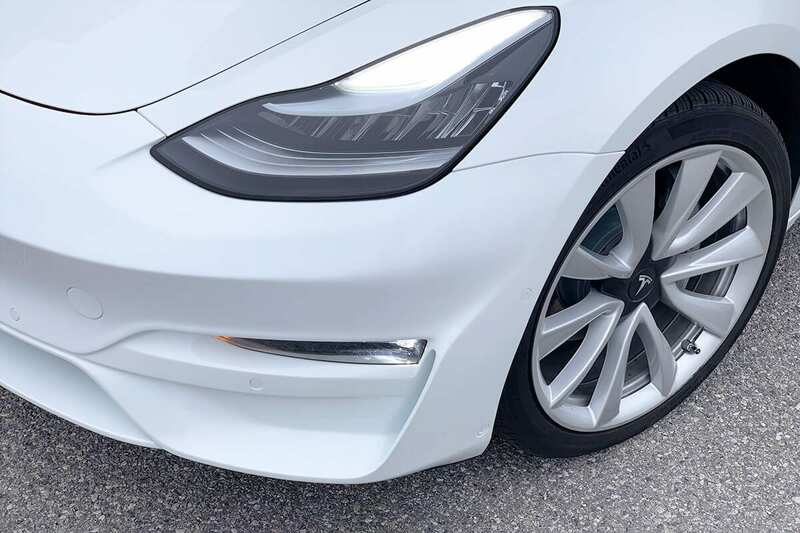 As a result, our Model 3 design is made with a vision of what the Model 3 can become, while delivering a design that can be installed in the present. 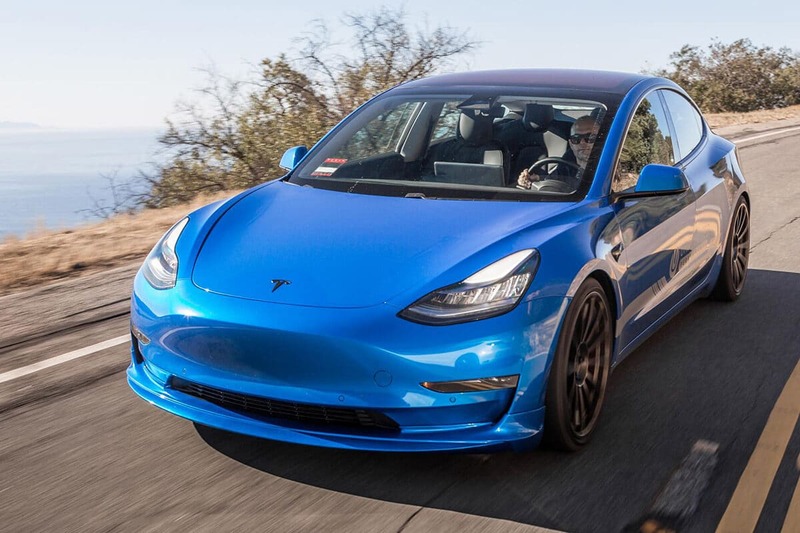 The Model 3 is a masterpiece of engineering and our default stance is to require any design we make to be harmonious with the car’s engineering and functionality. Making something that looks beautiful is easy, relative to the challenge of making beauty that meshes seamlessly with a long list of “do nots”. 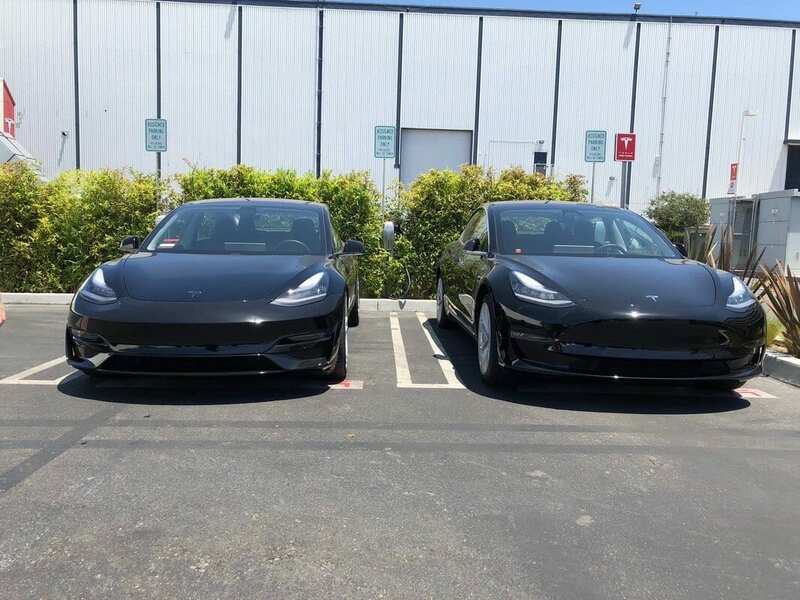 During engineering we first evaluate what we do know; this goes back to March 31 of 2016 when we first saw the Alpha version of the car. The moment we saw the first debut we started sketching designs. This was Spring 2016. From a distance, it is easy to see general topics of where ducts, sensors and lighting is located. This produces the first round of design criteria and constraints to respect and design within. 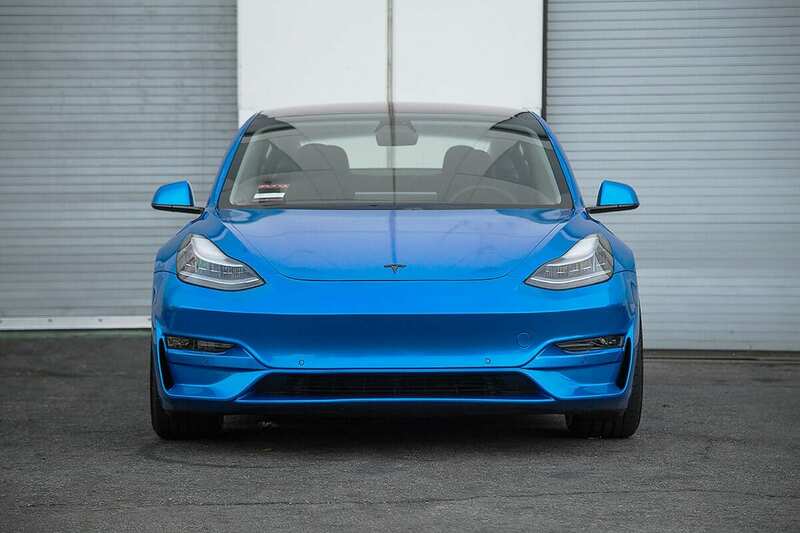 The list of design criteria expanded incrementally as we took apart production spec Model 3s. We studied how systems behind interact with the bumper, 3D scanned all of the components and began lining up how all the pieces integrate. 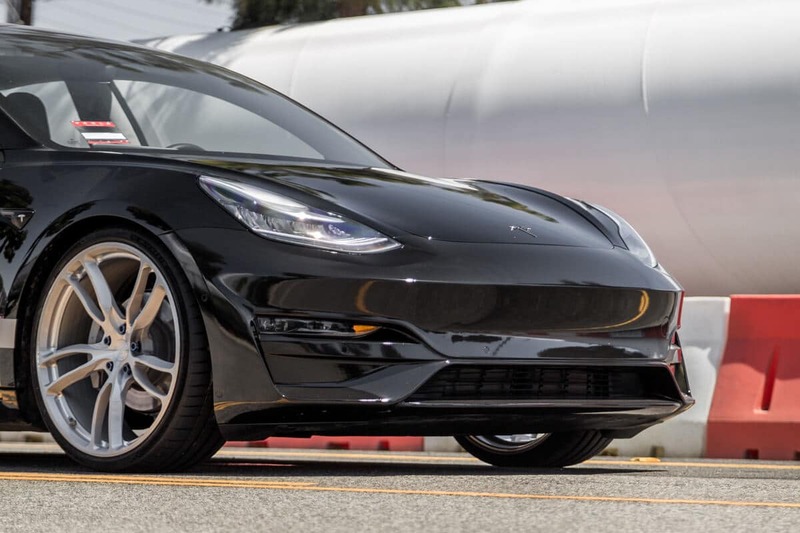 What all of this yielded was a comprehensive list that allowed us to design something fully original yet still remaining in harmony with Tesla’s existing engineering. Of special importance to us is every day functionality, and as a result we took care to retain ducting for cooling systems, airflow management, as well as auto pilot systems, lighting and towing. 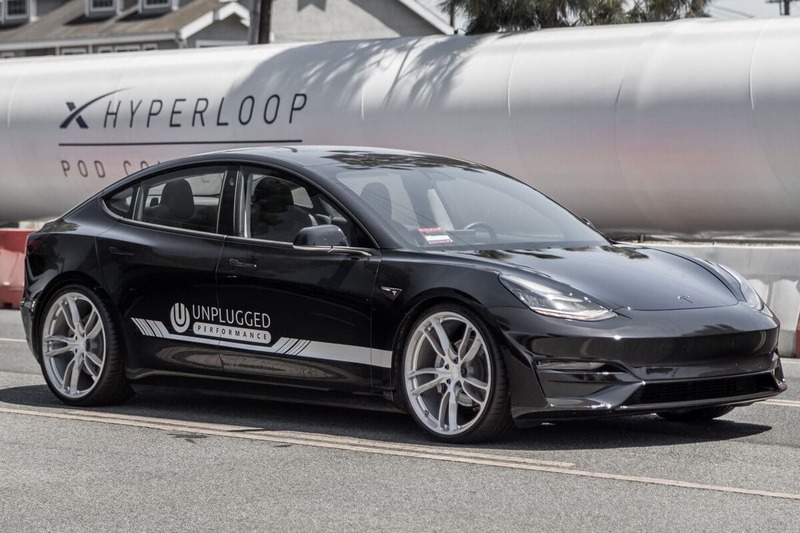 What results is our new image of an Unplugged Performance Model 3. 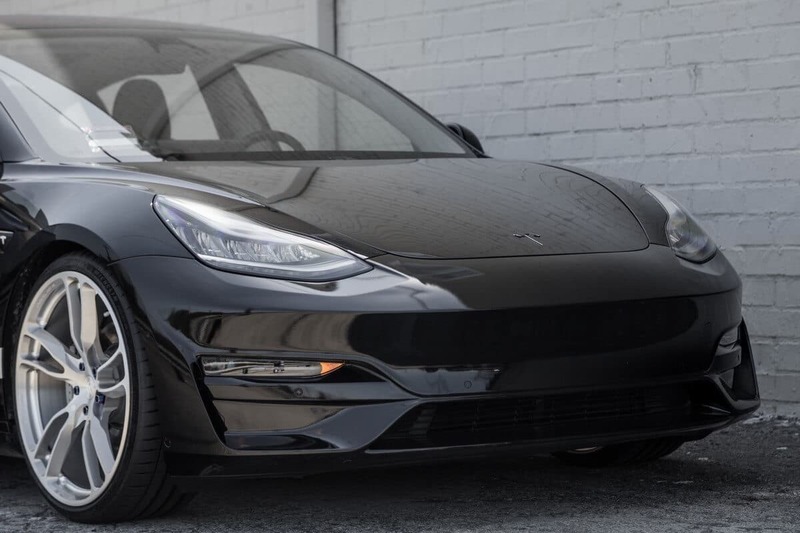 Always respectful of Tesla’s DNA and engineering. 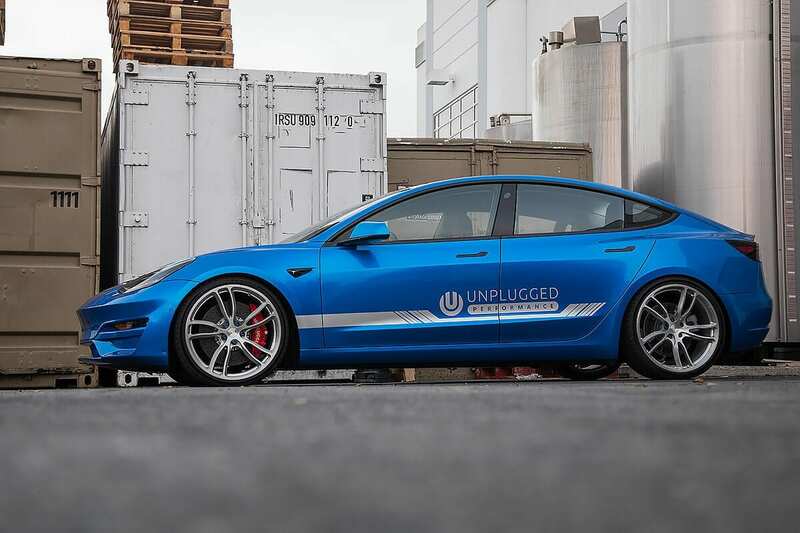 It is Unplugged Performance’s evolution of Tesla’s revolution. Art-form created within the lines. ▸ What is the construction [material]? Impact Resistant Proprietary Blend Polymer, made 100% in USA. ▸ It this compatible with current spec AutoPilot hardware? ▸ Is this compatible with vital cooling systems? Yes, it mounts flush to the central cooling duct. ▸ Is this compatible with the front fender air vent outlets? 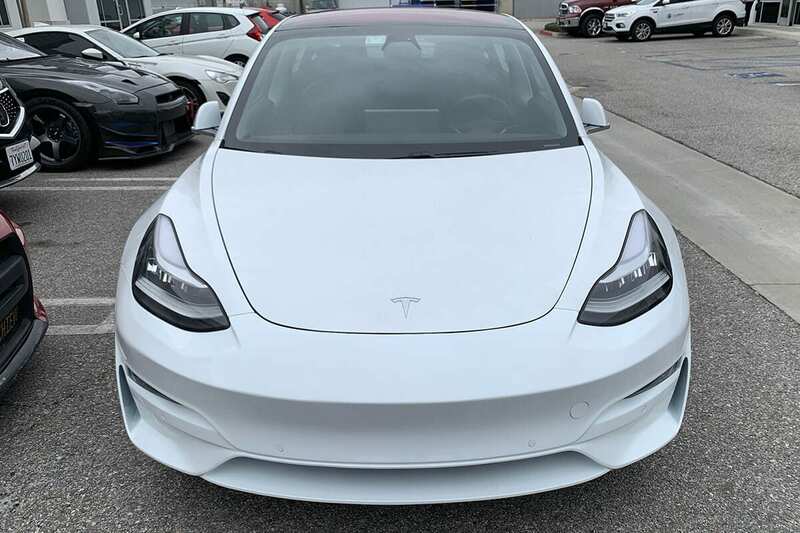 Yes, it has similar concept side vents that connect to your existing fender liner exit duct. ▸ Can I drive my car every day or will ground clearance be a problem? 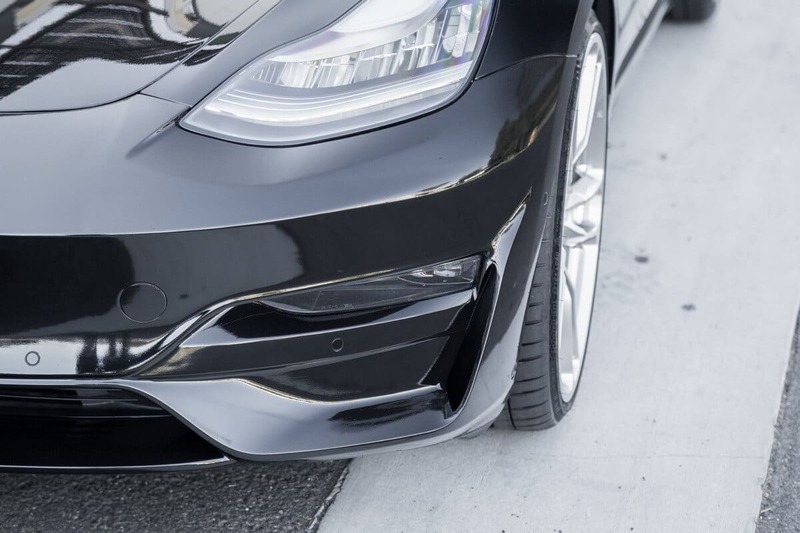 Front lip edge ground clearance is within 0.5” of the factory bumper. 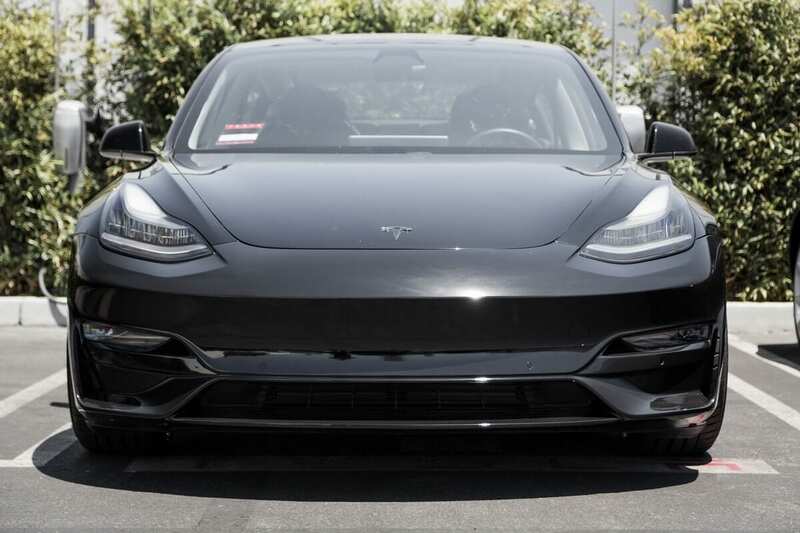 We do not believe 0.5” will be a factor for most people as typically aftermarket lip spoilers sit lower than that. However, as always, if something is a concern, we do not suggest purchasing any product until you are confident it is right for you. 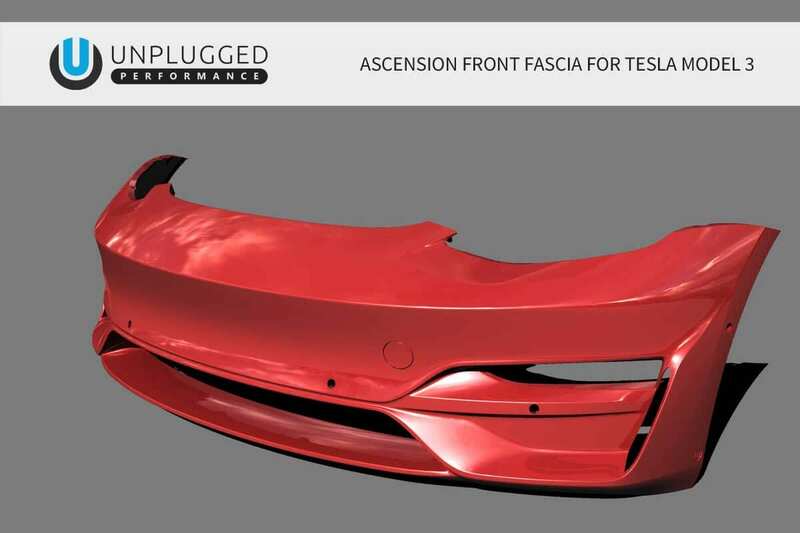 ▸ Will my car become longer as a result of this fascia? 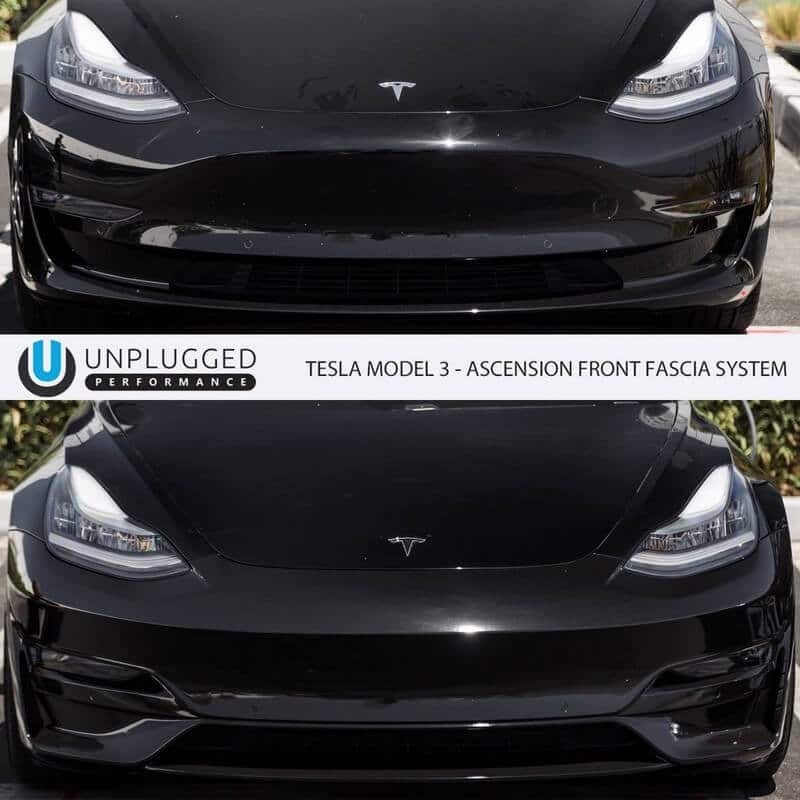 Our fascia design is clearly more aggressive. 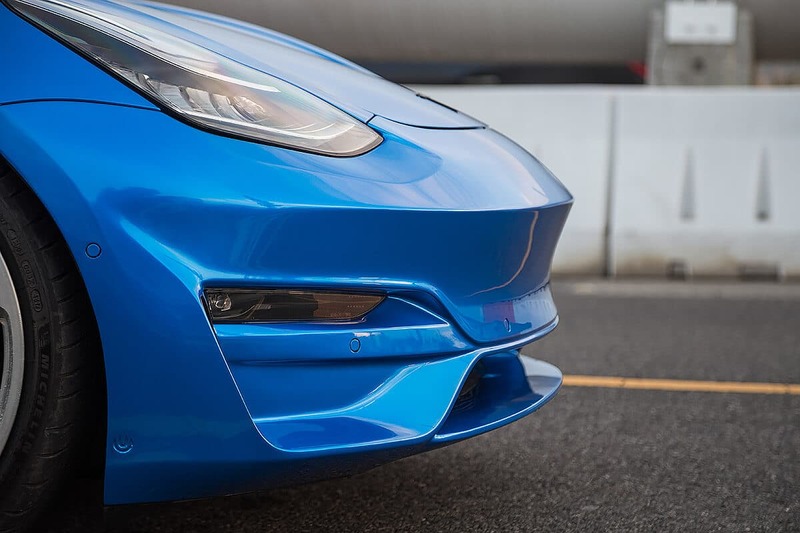 Our reshaping does extend the front edge of the car by approximately 70mm. If your parking tolerance is extremely small, please consider the additional 70mm in length of this fascia. ▸ My car is a lease, is there any permanent modification to my car by installing? No, we have designed this to install/remove using factory attachment points so that it can be installed and removed with no trace. There is zero cutting, drilling or modifying the car to install/remove. ▸ Do you provide a warranty with the product? 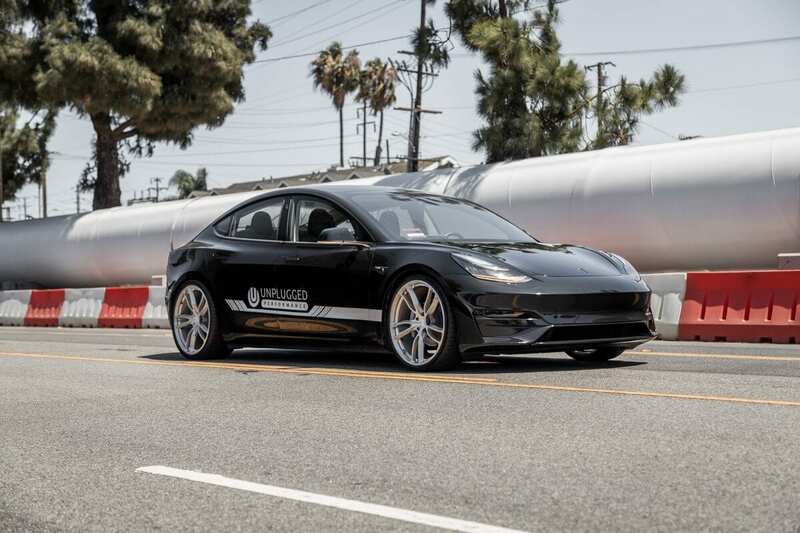 ▸ Do I need a Tesla certified body shop to install? 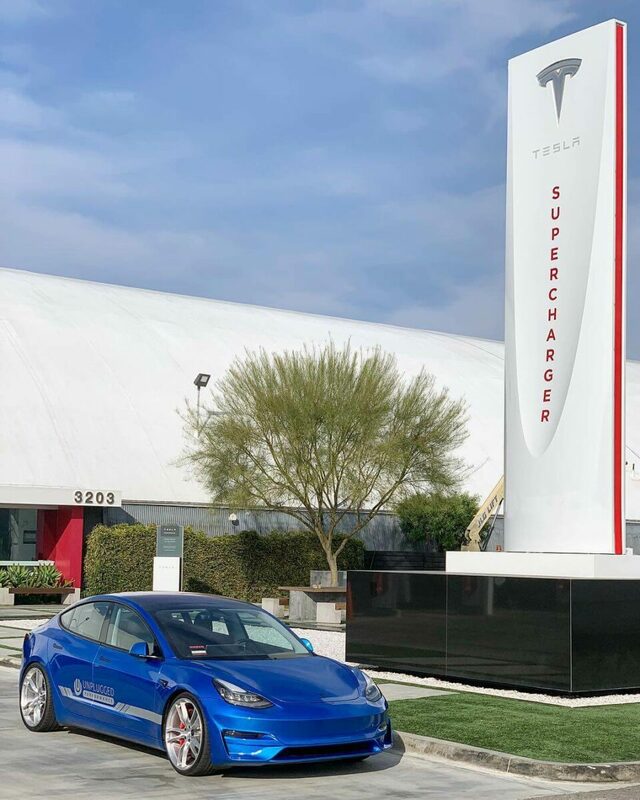 You may use Tesla certified facilities, and many of them are dealers of Unplugged Performance already. However we have designed this (and all of our bumpers) to be able to be installed with basic tools by any professional body shop. 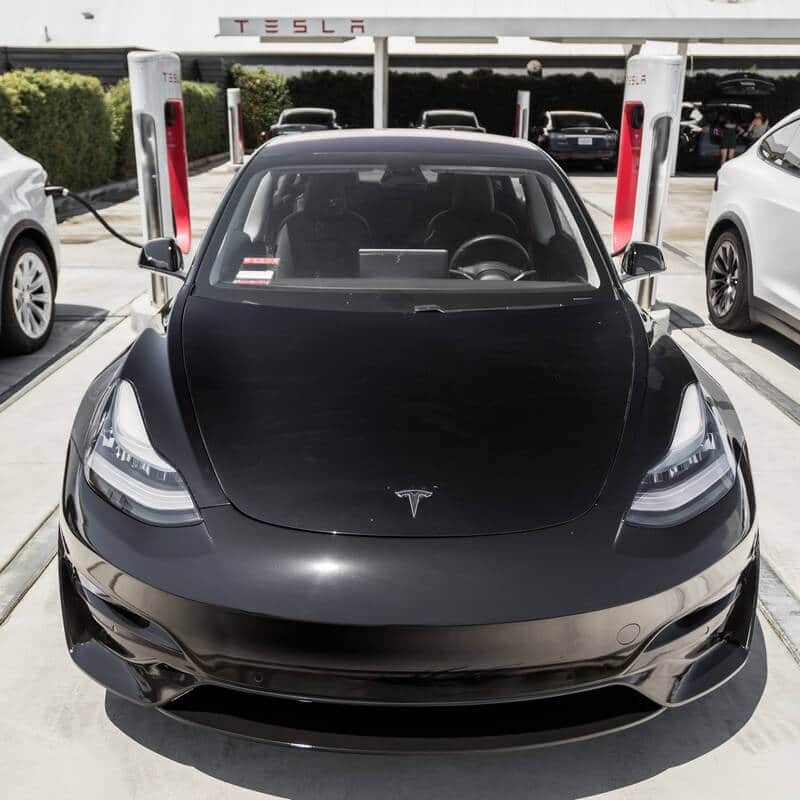 There is no specific Tesla tools or knowledge required to install. The only requirement for install is the ability to know how to fit a bumper and to read and follow instructions thoroughly. ▸ Do you offer pre-painted parts? We previously offered pre-painted parts. What we have found was too much risk of damage to paint during shipping. 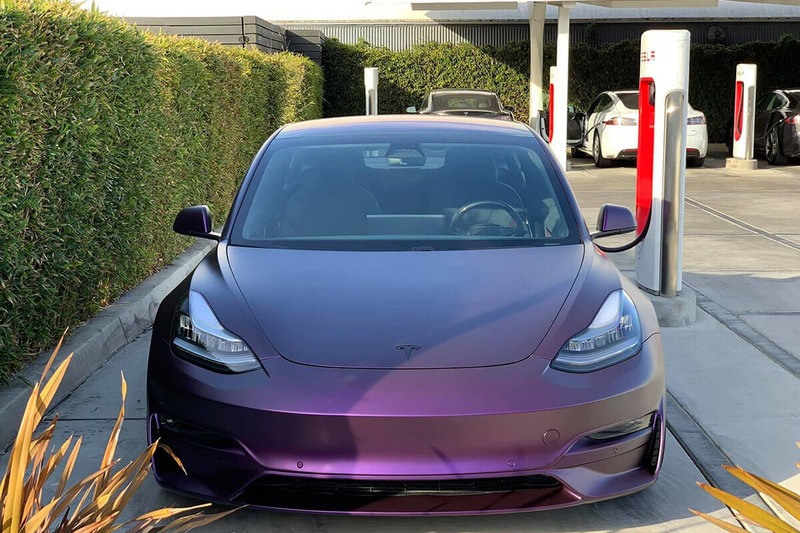 We also always suggest that the installer provides painting services locally to ensure best paint match as some cars vary from others in exact color and blending is sometimes needed. For purposes of best end result we do not pre-paint. ▸ How much will paint and installation cost me? This will vary widely based on labor rates of your country, city and specific shop. 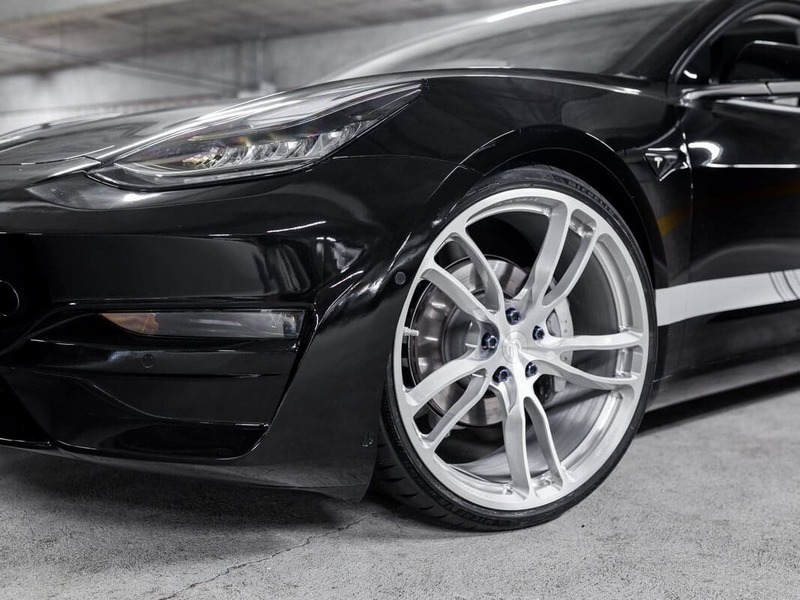 We regularly get feedback from body shops that our product quality exceeds their expectations. However as a baseline, we suggest inquiring with a local shop you trust to ask for a quote. 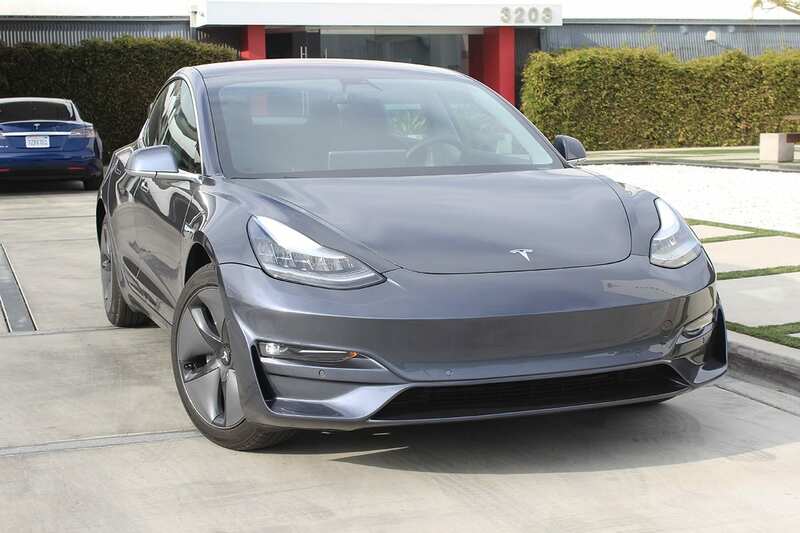 If you are curious of a ballpark price, in the US an extremely generic ballpark pricing would be approximately $800-1400 for paint and install out the door for Model 3. ▸ What happens if I hit a car, curb, deer, etc? We’ve designed this to have flex and to be impact resistant. 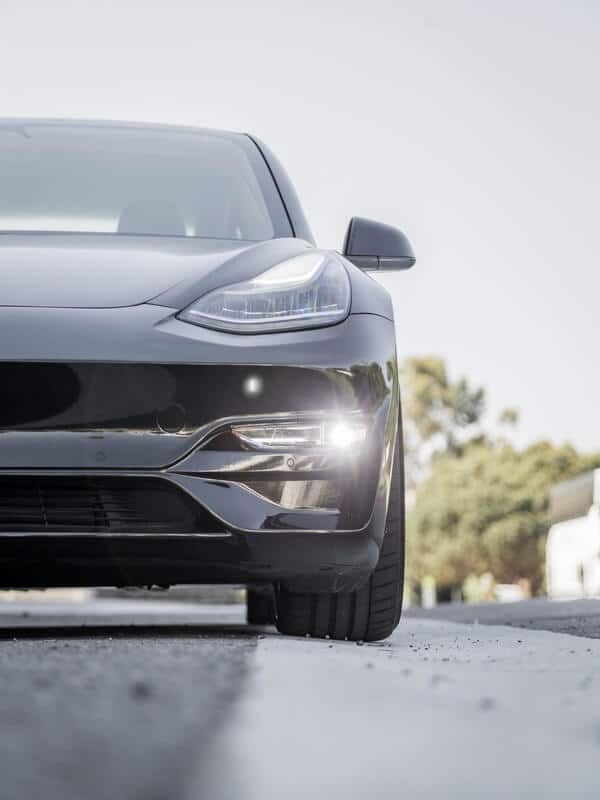 The impact resistance is comparable to what the the factory bumper can take. We did not make this in fiberglass or carbon fiber which do shatter or crack on impact, this product can bend. In fact you can crunch it into a ball and it will retain shape retention and pop back to original shape. ▸ Do you ship worldwide? Absolutely, on everything we make.